DETROIT (AP) — A Michigan State University trustee on Saturday called for the university president to quit over the school’s handling of the sexual assault scandal involving former gymnastics doctor Larry Nassar. Trustee Mitch Lyons issued a statement Saturday breaking ranks with the board which had said a day earlier that they supported President Lou Anna Simon. “I do not agree with our statement of support for President Simon,” Lyons told the Detroit Free Press . “As I expressed repeatedly to fellow board members during our discussion Friday, I don’t believe President Simon can survive the public outcry that has been generated by this tragedy and even less so after hearing the testimony of these brave survivors of Larry Nassar’s abuse. 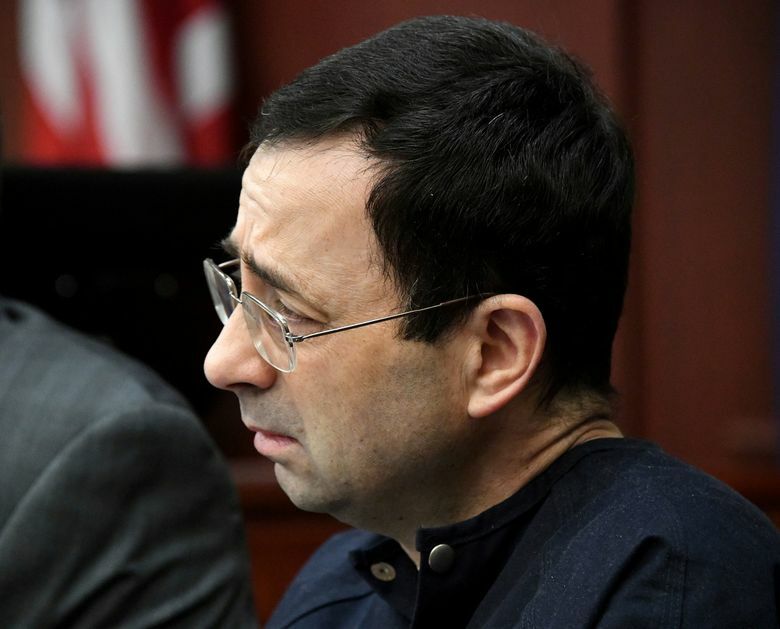 More than 80 girls and women, including some Olympians, gave statements at the sentencing for Nassar, who worked at Michigan State and as a team doctor for USA Gymnastics. Some assaults took place at his university office. Board of Trustees Chairman Brian Breslin said in a statement last Saturday responding to Lyons that all the other trustees continue to support Simon. “The Board of Trustees shares the outrage of the survivors over the egregious crimes committed by Larry Nassar on the campus of Michigan State University and in his work outside the university with USA Gymnastics and other organizations. The stories told in court this week are heartbreaking,” Breslin said. The trustees have asked Michigan Attorney General Bill Schuette’s office to investigate the university’s handling of the scandal. “We look forward to a prompt and thorough investigation by the Michigan Attorney General’s Office to help reassure the public that the university and its leadership have nothing to hide,” Breslin said.